The end of April is usually the deadline to complete your tax return for the previous year. This year’s deadline in Canada to do your taxes is April 30, 2015. You probably want to mark that on your calendar so that you don’t forget. Most of us are eager to get our refunds back from the government as soon as possible so that we can get money back in our hands. However, before we all jump the gun and start filing our returns using the electronic Netfile system, we should be aware what we need to do and also review our returns before submitting. Generally your employer will send out your T4 slip very early in the year. Some companies even pass it out in February because employers like to get that out of the way early in the year. Even after receiving your T4, it’s still too early to do your taxes. There are a lot of other documents that you’ll receive in the mail before you can start. Personally I learned this the hard way last year. Financial companies are not obligated to send out their tax receipts and forms to individuals until the March 31 of the next year. This means that it’s necessary to wait into April before all your forms are received in the mail. If you fail to report interest or dividend income along with your return, then you’ll end up getting dinged for interest for any missed payments. I learned that the hard way last year when I failed to submit one of my tax receipts. Lesson learned. Be patient. Wait for your forms to arrive and then submit your return. How Much Are You Getting Back? Let’s face it. If you paid very little taxes, don’t expect to receive a huge sum back from the government. If you only paid a thousand to the government in taxes, don’t think you’ll end up getting two thousand back. The only reason we get money back on our tax return is because we paid too much tax during the year. If you really think about it, getting taxes back on your return is a bad thing. Yes, it’s really a bad thing. Why you might ask? If you don’t need to pay so much tax to begin with then it’s a good idea to declare your deductibles on your TD1 form at the start of the calendar year with your employer. This is the form that employers give you when you start a job. You can fill the form out every year with your known tax credits and the result will be that less taxes are removed from each pay check. Why is this hassle a good practice? It means that you are getting money back in your pocket immediately. This lets you use the money on whatever you want or invest it. Plus you don’t have to wait till next April just to get that money back in a tax return. The only nuance of doing this is that it’s necessary to complete a TD1 every year, but hey it might be worth it! Everything that you declare as being tax deductible should have some sort of paper trail. You can’t just make up numbers so that you get a larger return from the government. This is fraud. If you like going to jail or paying exorbitant penalties than by all means go ahead and do it. If you are declaring rent expenses, then be prepared to show your receipts from the landlord with your name on it. Similarly the landlord should be declaring your rent as income. Everything works both ways. Someone can’t just make numbers out of thin air and expect to get away with it. Similar rules apply to capital gains and losses on your investments. Don’t go claiming losses on things that you haven’t sold, or not declaring your gains even though you made a killing on your investments. Since the financial institutions track your activity through financial statements provided to you, the CRA can easily find a paper trail that can justify their argument that you are committing tax evasion. Don’t try anything of these things. It’s better to keep your record clean with the CRA than tempt fate. Let’s face it. Sometimes we end up having to pay taxes because we make money passively through our investments or side jobs that we might do. If this is the case, then it’s necessary to pay taxes to the government on the income that hasn’t already been taxed. People think negatively when they have to pay taxes, but every successful investor or entrepreneur will come across this in their lifetime. Paying taxes is not bad. It means that you made money during the year. This is a good thing. No matter how much tax you have to pay, it’s far better to be making money than taking losses on your investments or business. If you have to pay taxes, make absolutely sure that you file your tax return before April 30, 2015. You don’t want to have to pay additional interest charges to the government for failing to do your tax return on time. The Canadian government has already implemented a process whereby tax returns can be submitted electronically. This means faster turnaround times and money getting sent back to people much quicker. There are many software programs that you can buy or use for free that will do an electronic tax return for you. If you need to find a certified list of vendors, go to the official CRA site. 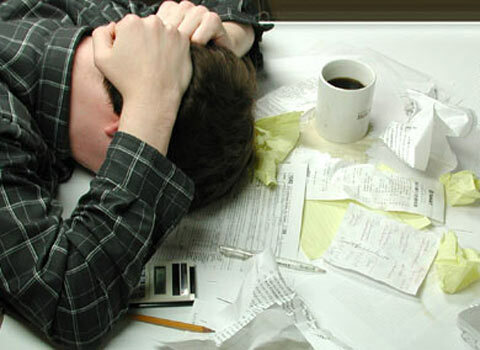 Even if you are doing your taxes online, it is important that you still hang on to all your tax receipts. The CRA may decide to audit your tax return and require you to mail in all supporting documents. Just because you don’t have to send in your receipts doesn’t mean that the government won’t crack down on individuals who try to cheat the system. 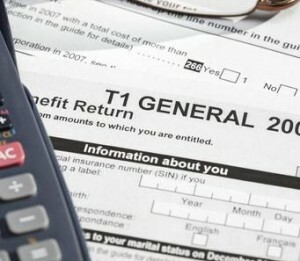 Be honest with your tax return and don’t cross the CRA. You might be able to trick your cousin in not paying him/her back, but you cannot trick the CRA. Don’t even think about filing a false return. The consequences can be severe. Sometimes we just have to admit that we’re not smart enough to do our own taxes. There are many free or paid do-it-yourself software programs that will help you do your taxes, but if you constantly find it frustrating to complete your taxes correctly then it might be better to find yourself a professional accountant that can understand your complex tax situation. It’s better to spend a bit of money and do it the right way rather than doing it the wrong way and suffer the consequences of the CRA. April 15, 2015 in Personal Finance. ← Should You Buy Life Insurance?